However, we couldn’t find all the correct social video sizes in one place. So we decided to create a complete guide of every single social media video spec and advertising video dimension. Easily reference our social media video specs in our always up-to-date Google Doc. Looking for image sizes? Check out our social media image sizes guide for help. Facebook video is consumed at higher rates each year, so it’s no wonder why so many marketers search for the correct Facebook video specs. According to WordStream, roughly 45% of users watch at least an hour or more of Facebook videos or YouTube videos in a week. The challenge for marketers is that there are simply so many types of videos you can share on Facebook. Each video format has different dimensions and specs, which can make it confusing to understand whether or not you’re uploading the correct format. Avoid any technical issue by following Facebook’s video specs. Easily the most common type of video on Facebook comes from shared posts. This type of video lives in your Facebook feed, and can be shared by brands or your friends. 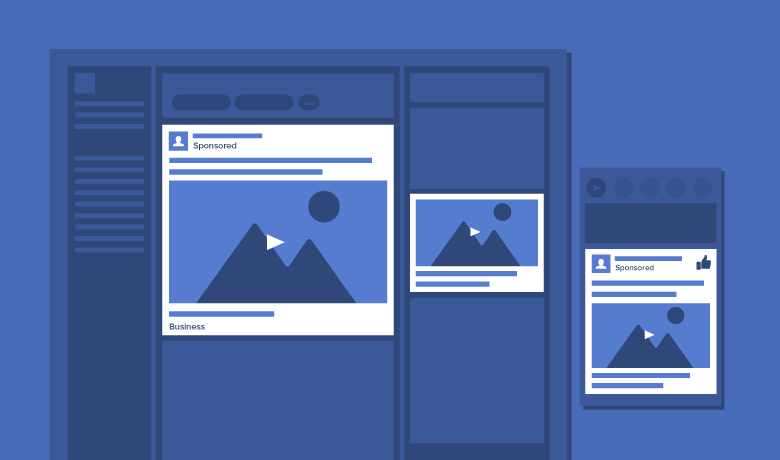 While it’s not as easy to get organic reach on Facebook, it’s still a viable way to share video. You can choose between two video orientations: Landscape and Portrait. Here’s a look at the video specs for both. Recommended video dimensions is 1280 x 720 for Landscape and Portrait. Facebook’s 360 Video allows users to get a complete 360-view by scrolling with a cursor on web, by touch or turning the device on mobile. 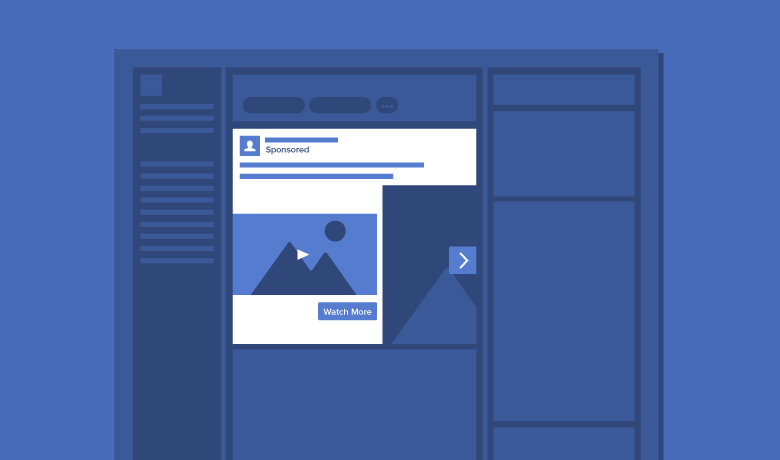 This format appears organically in feeds, but often gets “priority” on Facebook feeds. Maximum dimensions is 4096 x 2048. 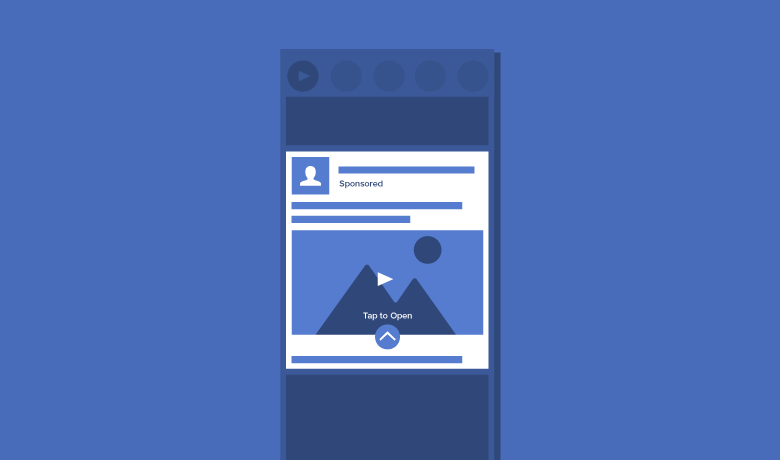 There are more than 5 million advertisers now on Facebook and having the right specs for your ads can be tricky. 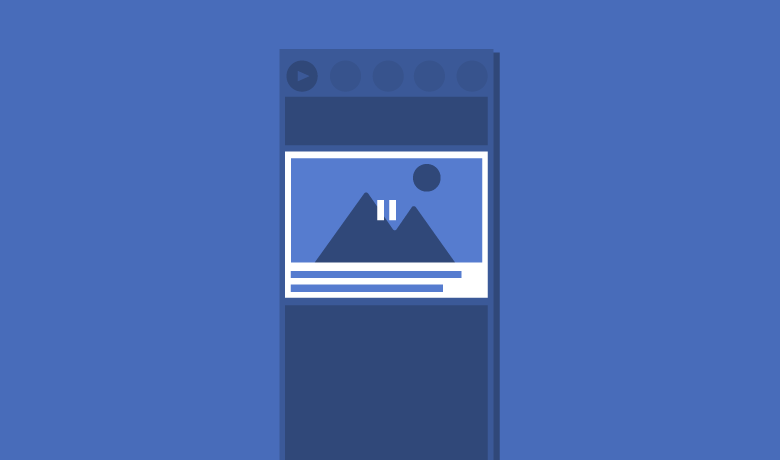 Each type of Facebook video ad is different, so let’s go ahead and break down the specs for each type of video you can produce. 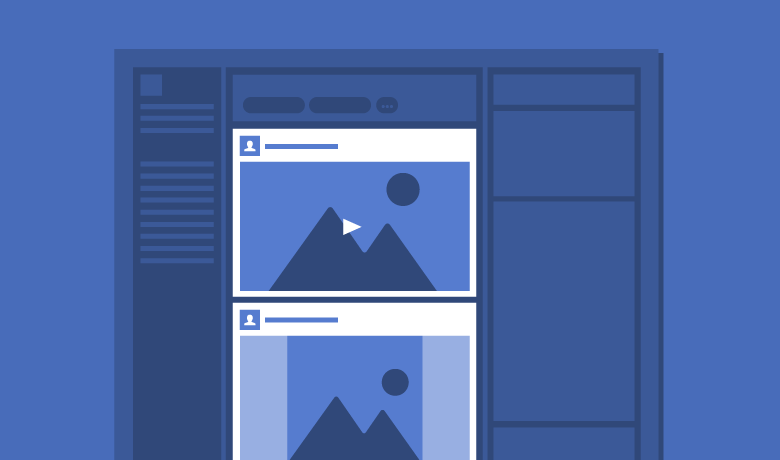 Much like the Facebook shared video, the Facebook Desktop News Feed Link Video lives in users feeds and can be either landscape or square. Facebook doesn’t provide portrait-style video ads, but instead, it uses a square format. Secondly, you can create this type of video to showcase on the right column of Facebook. 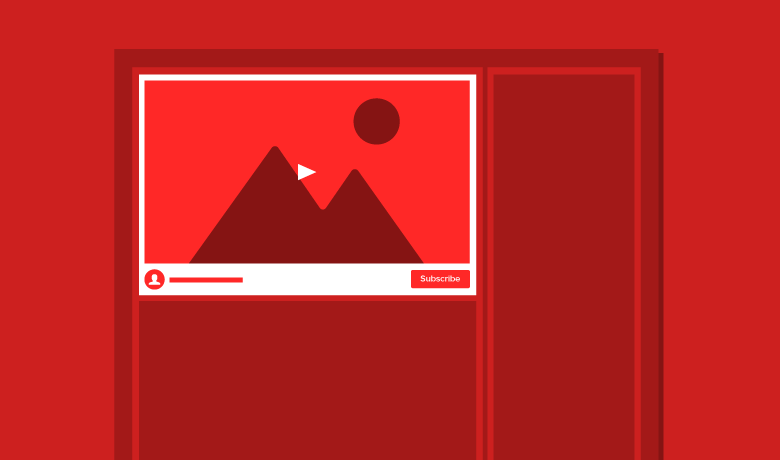 While the right column video is much smaller, the dimensions should be the same as the Desktop News Feed Link Video. Recommended video dimensions is 1280 x 720 for Landscape and Square. 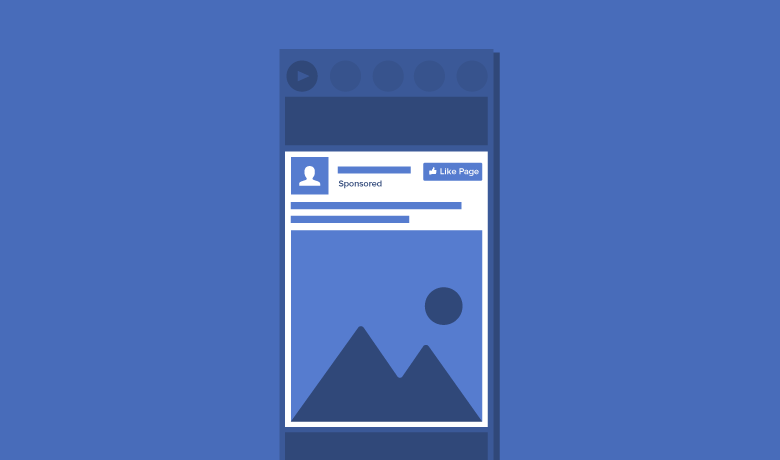 Facebook Carousel Video ads allow brands to showcase multiple videos (or images) and a link within a user’s Facebook feed. It has grown in popularity because its unique scrolling feature allows users to see more content before clicking a link. In fact, Digiday estimated Carousel Ads to be 10 times more effective than standard social media ads. Recommended video dimensions is 1080 x 1080 for Landscape and Square. Video length max is 30 seconds or less (continuous looping is up to 90 seconds). Link description max: is 20 characters. The Facebook Collection ads showcases multiple images and a main video above it. This is perfect for displaying multiple products (or various colors of a single product) and a video as well. The ad type has been popular so far with retailers and clothing companies, but it’s still early. Recommended video dimensions is 1200 x 628 for Landscape and Square. 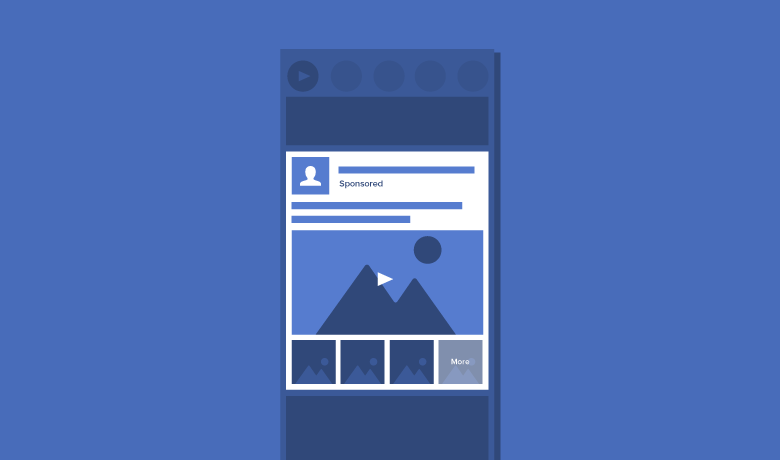 Facebook’s Canvas ads are a new interactive way to engage with paid content. 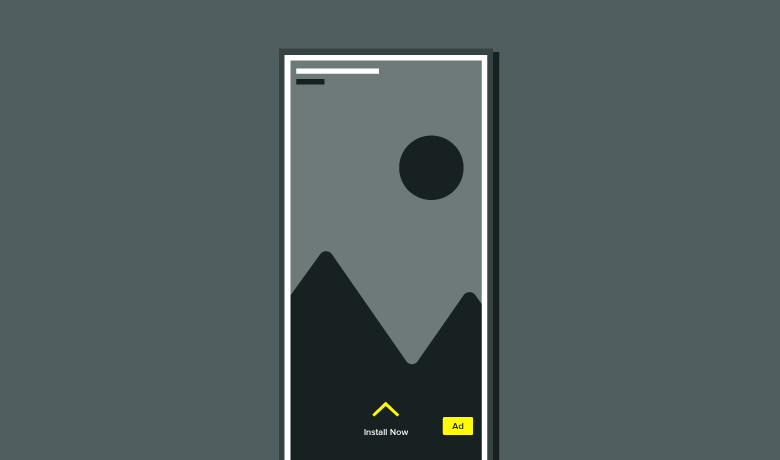 The immersive mobile layout allows users to swipe to the sides and downward for more content. Its mobile experience helps brands tell a fuller story. However, the specs are tricky since there are technically two video types. This is the mobile video option available when the user first interacts with the Canvas ad. There are no character limits or text for this type of ad. 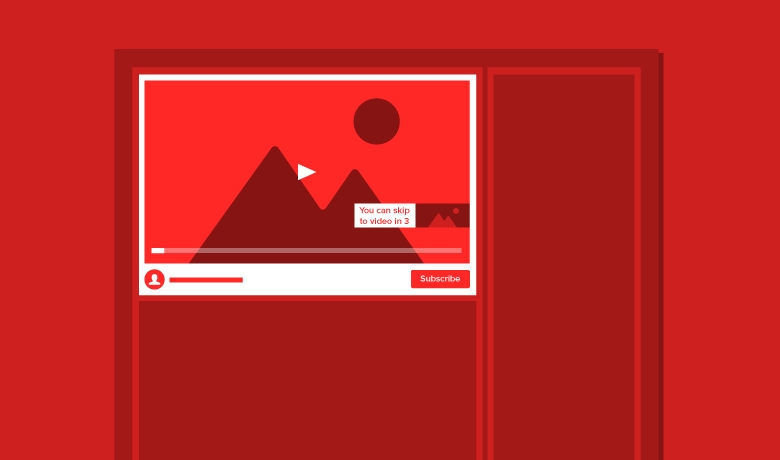 After users are immersed into the Canvas ad, there’s a point where an autoplay video will start once the user reaches it. As users scroll through the content, a specific in-ad video will autoplay that has nearly identical specs. Here are the specs for that video ad type. 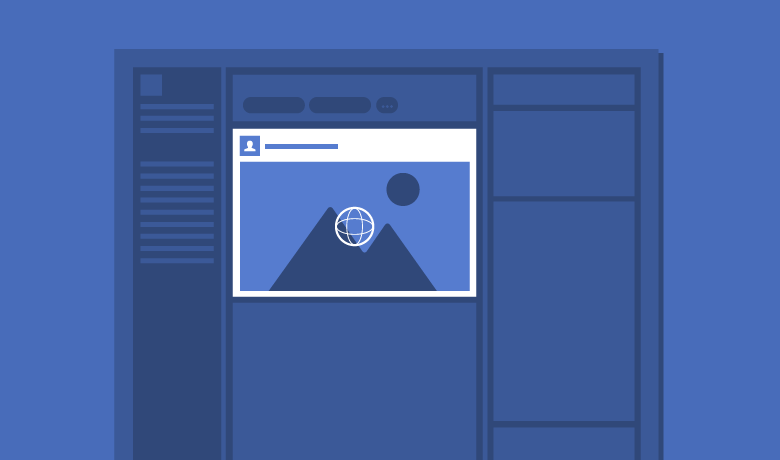 Facebook’s Slideshow videos were built for advertisers wanting to reach audiences with slower internet connections. 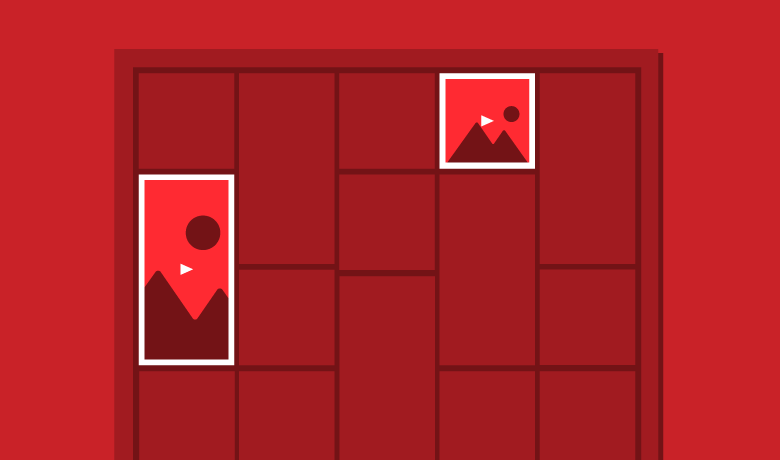 Instead of a regular video, slideshows are just that–a slideshow of images in an ad display. You can choose from 3-10 photos or use a video to transform it into a photo slideshow. Music can be uploaded in the following formats: .WAV, .MP3, .M4A, .FLAC or OGG. Additionally, advertisers can select a portrait setting here instead of square. Recommended video dimensions is 1200 x 720 for Landscape and Portrait. Facebook has also added the Stories feature, disappearing short photo or video updates that are only available for 24 hours. In addition to user-generated organic posts, Stories ads that run in betweens sets of user stories are also available. While most users will be sharing immediate & organic updates from their phone’s camera without worrying too much about their video specs, the guidelines for this format are similar for paid & organic posts. Aspect ratios: 1.91 to 9:16, with colored gradient bars rendered above and below videos under 9:16. The text field will also be placed under below videos smaller than this aspect ratio. For more information on the video specs for Facebook, visit the Facebook Help Center. Instagram launched video capabilities in 2013 and quickly saw enough success to start advertising on the platform in 2015. Since then, almost 71% of businesses now use Instagram to reach their core audiences more efficiently. Additionally, more than 5 million people viewed brand-created Instagram videos in Q1 2017. So needless to say, Instagram videos are absolutely worth the investment. Since 2015, Instagram crafted its videos formats to allow three different styles: landscape, square and vertical. The predominantly-mobile social network is perfect to share videos of any size organically to reach your audience. Although the launch of its recent algorithms might make organic content’s reach a little lower, there’s still plenty to opportunity with these basic formats. Minimum resolution for landscape video is 600 x 315. Minimum resolution for square video is 600 x 600. Minimum resolution for vertical video is 600 x 750. Max file size for all formats is 4GB (*100MB maximum for Sprout Direct Publishing and 512MB maximum for Sprout Mobile App Flow Publishing). Instagram’s advertising revenue has significantly increased over the last year. In fact, Instagram predicts to earn $4 billion in mobile ad revenue in 2017 alone. The push for Instagram advertising is real and marketers have to be ready to take advantage with engaging videos. Much like the in feed organic Instagram video options, the network provides similar options for advertising. These video ads appear nearly identical to organic posts to blend in with users’ feeds. In fact, the Instagram video specs are the same for organic and paid content. Same as In Feed Video. 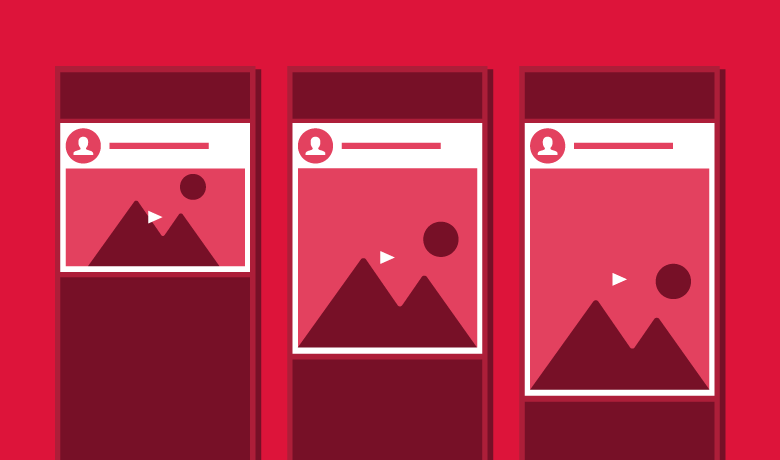 Much like Facebook’s Carousel Ads, Instagram offers a similar feature. Carousel ads allow users to see more of a product or feature than a single image or video. 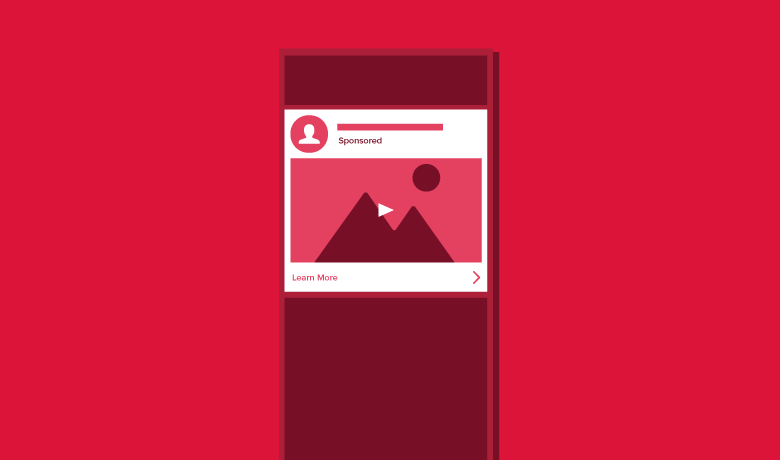 With Instagram, your carousel video ads can have 2-10 cards with a full-width call to action below the ad. Minimum resolution is 600 x 600. Max resolution is 1080 x 1080. It didn’t take long for Instagram Stories to feature ads within users’ story feeds. 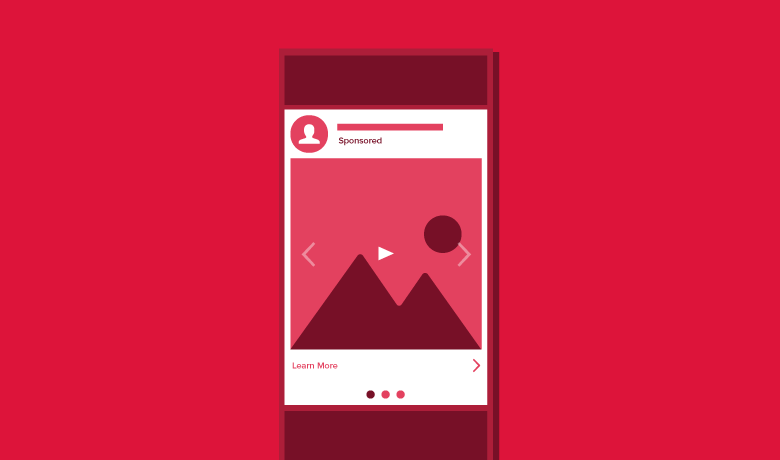 Brands can seamlessly integrate their video content between other Instagram users. Much like Snapchat, it’s smart to make these videos more raw and in-the-moment to avoid drastically standing out as an ad, especially since users can immediately swipe to leave. Instagram TV videos display full-screen like Stories, the difference being that TV posts aren’t ephemeral and let you get into super long form content with a 1 hour maximum run time for larger or verified accounts. While paid ads aren’t yet available, your brand can create an organic story that delves into detail on your product, service or campaign. Videos are minimum 15 seconds and maximum 10 minutes long. Some accounts can upload a video up to 1 hour using desktop. 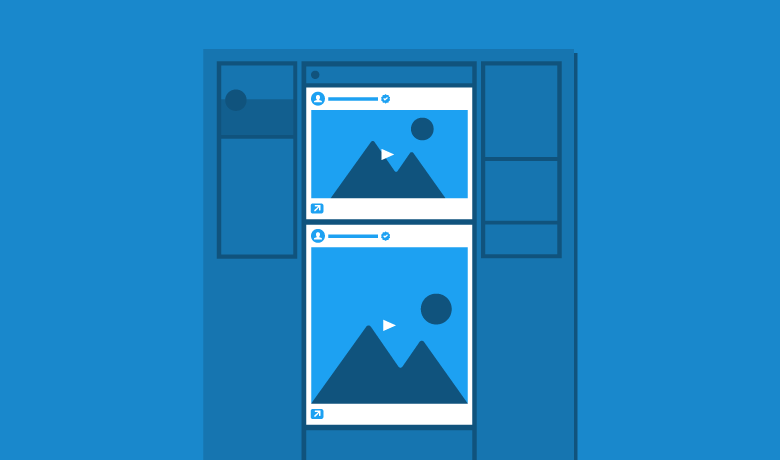 If you’re looking for further information including images, check out our complete guide to all the Instagram ad sizes! For more information on the video specs for Instagram, visit the Facebook Help Center. Twitter is a popular space to share and interact with different social media videos. For marketers, it’s all about keeping a user’s attention with enthralling and click-worthy video content. In the sports and entertainment industry, Twitter is often the go-to for sharing video content, so it’s critical to learn the correct Twitter video specs. 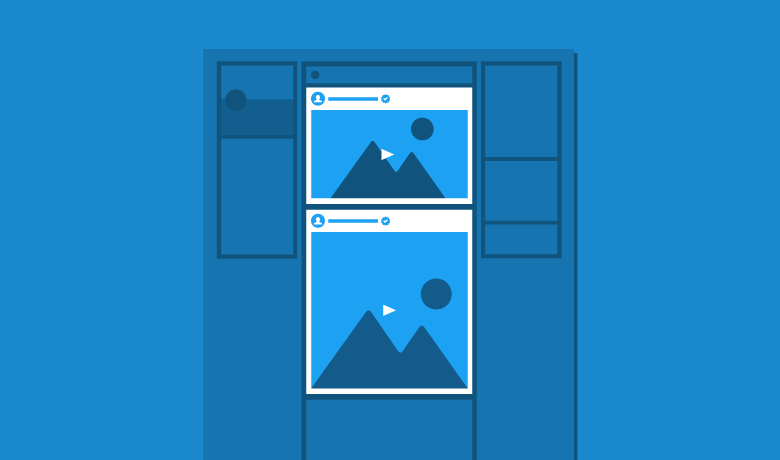 Twitter provides two formats of in-feed video content to share with your followers: landscape and portrait. These specific formats are only available for uploading video directly to Twitter, rather than sharing YouTube or Vimeo links. Luckily, Twitter makes it easy to share organic content, but the dimensions do change as the video bitrate alters. Landscape recommended dimensions: 320 x 180 (256K bitrate), 640 x 360 (768K bitrate) and 1280 x 720 (2048K bitrate). Portrait recommended dimensions: 240 x 240 (256K bitrate), 480 x 480 (768K bitrate) and 640 x 640 (1024K bitrate). Minimum dimensions for both is 32 x 32. Maximum dimensions for both is 1280 x 1024. Aspect ratios are between 1:2.39 to 2.39:1. Recommended video formats are .MP4 for web and .MOV for mobile. Looking to promote your video through paid ads on Twitter? Luckily, you can use the same exact formats from Twitter organic videos. Stick to the same specs for both organic and paid video to ensure maximum visibility. For more information on the video specs for Twitter, visit the Twitter Help Center. With an estimated 173 million daily active users and more than 301 million monthly active users, Snapchat is still an active network for younger generations to share video content. Whether it’s through the different AI lenses or filters, Snapchat is a hotbed for video sharing. And for your brand, it’s important to know the correct video dimensions for Snapchat. Recommended dimension is 1080 x 1920. Accept video formats are .MP4 and .MOV. Snapchat currently offers one main video format for ads, which is known as the long-form video. While there are partner opportunities to put video within Snapchat’s discovery option, most dimensions are the same, but require your business to reach out to the social network for more details on advertising. However, the Snapchat Long-Form Video Ad is what users see in between viewing users’ Stories. For more information on the video specs for Snapchat, visit the Snapchat Ads Help Center. Known as the second-largest search engine behind Google, YouTube is an essential network for video content. In fact, the average time spent on YouTube by 18-49 year-olds grew by 74%. 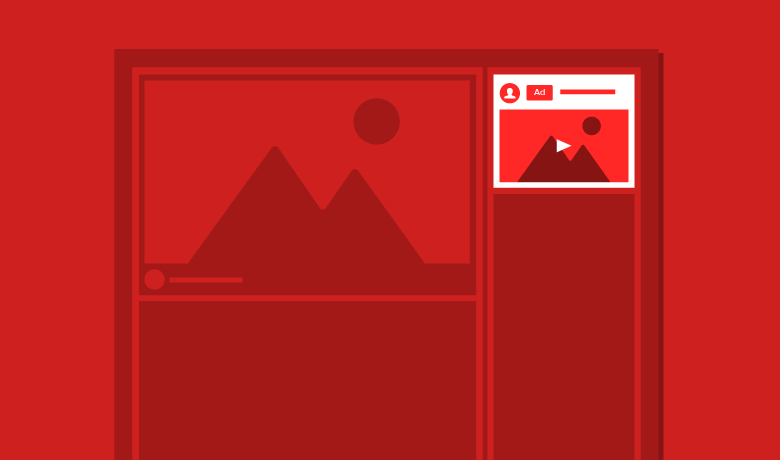 For marketers, YouTube is a great space to promote, educate and share video content around your brand. Aspect ratio is 16:9 (auto adds pillarboxing if 4:3). Standard YouTube videos are pretty straightforward, but there are a few video ad formats to learn if you want to advertise on the network. According to data from Google, Brands advertising on YouTube often receive a 20% increase in traffic. Skippable Video Ad: This YouTube ad type is played before, during or after the content and becomes skippable after 5 seconds. This ad format is the only one allowing advertisers to monetize views from any viewing device. Non-Skippable Video Ad: This YouTube ad type is played before the content and users must watch full 15 seconds (can also be added during or after video). However, views from TVs or game consoles don’t count toward a monetizable view. Mid-roll Video Ad: This YouTube ad type is played mid-view (like TV commercials) and is only available for content longer than 10 minutes. Ads are added either manually or automatically and again, views from TV or game consoles don’t count toward a monetizable view. Mid-rolls can be skippable, but users must watch 30 seconds or entire ad (whichever is shorter). Bumper Video Ads: This YouTube ad type is played before the content.It’s a small 6-second video ad that cannot be skipped, which is usually optimized for mobile views. Recommended dimensions: 426 x 240 (240p), 640 x 360 (360p), 854 x 480 (480p),1280 x 720 (720p), 1920 x 1080 (1080p), 2560 x 1440 (1440p) and 3840 x 2160 (2160p). YouTube display ads are shown in users’ search queries and sometimes appear in the right video column when watching a video. These ads are static, which means they don’t automatically play. However, once the video is clicked, the type of content displayed can simply follow the standard video player guidelines mentioned above. Recommended dimensions for the static image is 300 x 250 for the larger side view or 300 x 60 for the smaller side view. Actual recommended video dimensions are: 426 x 240 (240p), 640 x 360 (360p), 854 x 480 (480p),1280 x 720 (720p), 1920 x 1080 (1080p), 2560 x 1440 (1440p) and 3840 x 2160 (2160p). For more information on the video specs for YouTube, visit the Google Help Center. Even though LinkedIn is still in the early stages of video content adoption, the network is still a go-to source for sharing. In fact, nearly 75% of business executives say they watch online videos every week. With that number only likely to grow, it’s safe to say LinkedIn will continue to put video content at its forefront. The only video format you can upload is through a shared video. While there are options to share YouTube links in shared posts and in LinkedIn Pulse articles, there’s still just one way to upload your own video. Aspect ratio is 1:2.4 to 2.4:1. Video length minimum is 3 seconds, max is 10 minutes. For more information on the video specs for LinkedIn, visit the LinkedIn Help Center. As of 2018, LinkedIn now offers video ads. The requirements are a little bit different than shared video, so be sure to consider them when developing ads for your paid campaign. Frame rate must be less than 30fps. For more information on the video specs for LinkedIn ads, visit LinkedIn Marketing Solutions Help. Pinterest continues to expand its offerings to users, now adding organic video beyond just embedded links. Pinterest users can now upload & share vertical or square video, similar to the ad formats previously allowed by the platform. These two different size and style options relate to how the video will appear in boards. Square recommended dimensions is 600 x 600. Vertical recommended dimensions is 600 x 900. Minimum video resolution is 240p. 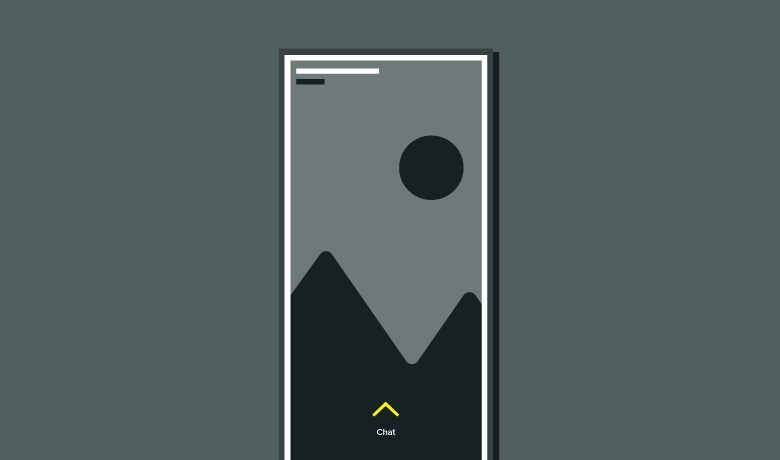 Vertical aspect ratio is 9:16. Acceptable video formats are .MP4 and .MOV. There are two formats for Pinterest Promoted Video: Square and Vertical. Both versions have the same specs as the options for organic uploads. These video ads appear in users’ boards, but advertisers can select the style in the ads manager.